This recipe was submitted by Abigail and Bryant Callahan from www.bryantcallahan.com. Try this instead of your regular coffee! 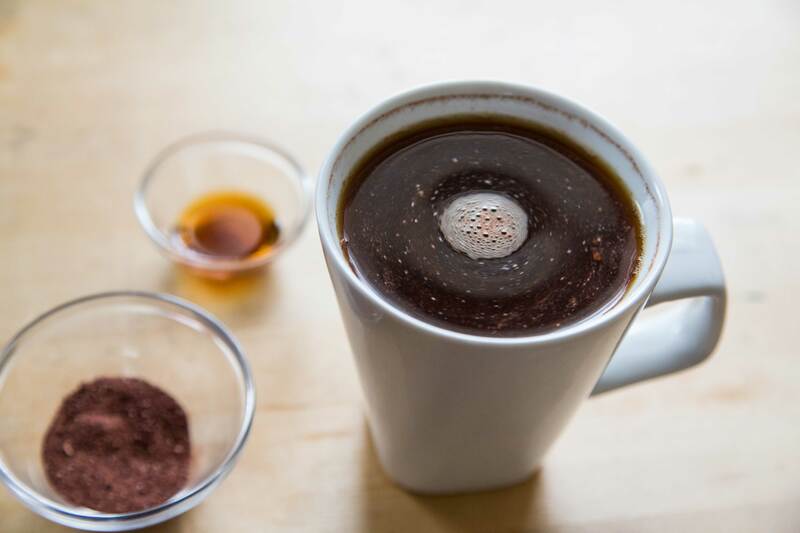 Stir cacao and maple syrup together in the bottom of a coffee mug. Slowly pour coffee over, stirring to combine. ** This is a great tonic that helps sustain energy and prevent the after-coffee crash once the caffeine from the coffee wears off.